We don't need the yard bully - I learned how to do things myself. You are here: Home / Articles & Advice / The yard bully – no, I just don’t need her! Do you need the yard bully? I took a course and learned how to do it myself. Most yards seem to have the bully or know it all. They can make life an absolute misery for some and especially for the more novice or less confident owner. We at Lingfield, have seen and heard about bullying time and time again. Bullying comes in various forms but one of the most common we hear about is this: A new owner arrives at a livery yard. 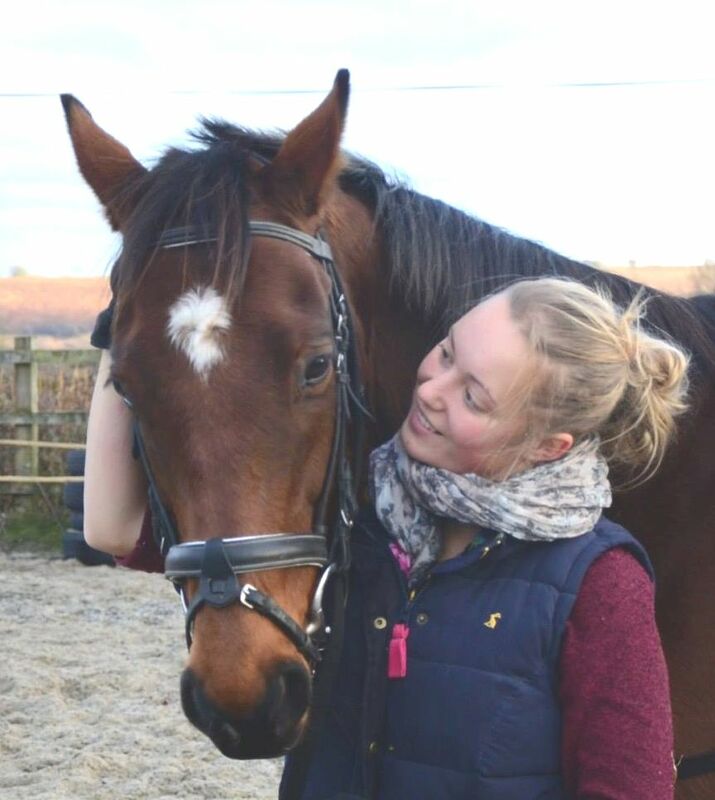 A more experienced owner at the yard will take the new or more novice owner under their wing and provide what is initially valuable, help and advice. The novice or less confident person becomes the experienced person’s protege. Lingfield Equine Distance Learning courses have helped several people become more confident and knowledgeable, enabling them to handle things without the bully. What is a protege? : a person who is guided and supported by an older and more experienced or influential person. Not always however, is that ‘more experienced’ person quite as knowledgeable as the novice is led to believe. Sometimes, a few months down the line, the ‘more experienced’ person gets upset when their protoge – having learned a little more by themselves via a home study course such as the Lingfield Intermediate Diplomas, or from others at the yard, starts to do things differently to advice given. In fact this will often be the first sign of the bullying effect of the ‘experienced owner’ on the less confident person. If you are a new owner at a livery yard – do take care and ask around tactfully to see who is considered to be the most knowledgeable on the yard – it may not be who you think it is. Sometimes the yard owner is more knowledgeable but not as assertive as the bully so is also under the control of the bully. This makes for an unhappy yard with little that can be done by the liveries. The only way out herefor a happier life is to move yards. Remember however, that everyone is entitled to their own ideas on how to look after their own horse. What works for one person and their horse may not work for another. Always remember, Many Roads Lead to Rome. Try not to take sides with one or other person on the yard – bullies love this situation – they play one against the other or totally exclude one person altogether by their tactics. Many find it easier to give in and fit in so the poor person being bullied is left out completely. If a person on the yard starts bullying you, try not to get too involved with any conversation they have with you. Just because you have not had your horse as long as the person who is bullying you, does not mean you are doing things incorrectly. When they suggest you are doing something wrong – try not to disagree because this will only start a longer and probably more intense conversation. Instead why not try saying something like ‘thank you for your advice – I will do some research on this’. Next you need to do that research and learn for yourself how to do things properly with a distance learning Equine Nutrition course for instance or an Equine First Aid course – it will be with your horse’s best interest and welfare at heart – and do not be crushed by the bully. Just step back and gain more knowledge as quickly as you can. Then you will have the confidence to do it all on your own and can ignore the yard bully altogether. We are here to help so drop us an email with any equine management questions – even if you are not on one of Lingfield’s courses we will try to help. Next we have some text originally via TROTON.COM – it is Copyright material. Lingfield finds Tina Bettison’s words hit the spot. Visit www.tinabettison.com for more details. “Livery yards can be great places for moral support, but they are also hotbeds of moral pressure. I cannot tell you the number of stories I’ve heard from riders and horse owners who have felt pressurised into doing something they weren’t comfortable with because of peer pressure on the yard; or who felt inadequate because the yard bully was being snide about them or their horse. When I was in junior school, I was bullied by one of the other girls. The usual stuff, ‘I’m not going to be your friend today’. And because it was a tiny village school with only six girls in the junior class that meant the other four girls weren’t my friend either. People only bully other people because they feel inadequate themselves, so they make themselves feel big by making others feel small. BUT they can only make you feel small if you allow them to do that. I decided at age 10 that I was not going to feel small in response to this girl. She was the one with the problem, not me. So the next day I told her I wasn’t bothered whether she was my friend or not and I didn’t need friends like her. Funnily enough she stopped her bullying behaviour, not just with me but with all the girls. And that advice is as true today as it was then. The people who seem the most confident are quite often the ones who really aren’t. The ones who make the really snide comments are the ones with the lowest self esteem. The ones that seem to know it all – and make sure everyone knows they know it all – are usually the ones who know the least. The ones who quietly keep themselves to themselves, say little, don’t join in the bitchiness and keep their noses out of other people’s business are the ones who are usually the most self confident and knowledgeable, and their ego doesn’t rely on belittling those around them. You also find the bullies almost always leave them alone. Why? Because they know they won’t get the response they want, and they’ll probably be ignored. Bullying is hard to handle, whether it is the school yard or the livery yard. If it’s going on at your yard, my best advice is to realise that the bully is the one who lacks confidence, who has low self esteem and needs you to be in fear of her or him so that they can feel good. Knowing this how does that change the way you view them and their behaviour? You can decide, right now, that you are going to feel compassion for this person rather than fear. That you are not going to feed their needy ego by cowing to their snide remarks or their peer pressure. That you are going to rise above it and focus on what you want to do with your horse and how you want to enjoy your relationship with him. That you are going to ignore their bullying behaviour and let it pass by you – and that you are going to encourage your friends on the yard to do the same. That word compassion is important here. Having compassion means you have empathy or understanding for the suffering of others. And believe me the bully is suffering. They may not recognise that, but they are. From somewhere they will have learnt that bullying is the only way to get the attention and response, the love even, that they desperately seek. Poor buggers! Fancy feeling that crap about yourself that you have to behave in that way to feel good! So give that a try – realise that the one with the problem is the bully, not you; have compassion for their internal suffering; rise above it, don’t engage with them and go about your own business, your way with quiet determination and authority. You might find the bully tries a bit harder a first to get a reaction from you – just let it go. Only you can give your power to them, they can’t take it from you without your permission. Amazingly, you often find that if you stand up to a bully by doing the above, they develop a new respect for you and want to be your friend. Of course, whether you decide to befriend them is your choice. The Fizz Kit – a self-coaching guide for building confidence and riding success (available from www.tinabettison.com; soon to be available on Kindle). Visit www.tinabettison.com for more details. I never ever forget that I’m lucky enough to have my own yard. If I need help or the odd kick up the bum then my friend Fi is happy to oblige. I haven’t always had my own yard and as Mr. Dazzle was a member of the British Army for more years then I care to admit, I have moved to and from more yards than I can remember and not all of them bring back happy memories. One particular yard seemed absolutely ideal, it only had 8 liveries, great turn out, amazing hacking and a premier competition centre only 30 minutes away. Second day there, I started to steam my hay and was instantly set upon by the ‘head livery’. She told me it was just about the worst thing you could do, she had never heard of steaming hay, in fact in her opinion and very knowledgeable opinion it would make the hay rancid! After that I was banned from being spoken to because I’d ignored her advice and kept on steaming my hay. About a month later one of the other liveries would have the briefest of conversations with me but only if the other liveries were not around. She was worried that if she was found talking to me she too would be next in line for trouble. Bullies love to ‘exclude’ someone and even better get other members of their gang to reject you too. Bullying can come in many forms, the obvious name calling, shouting, insults, intimidation and threats to more subtle digs and rejections. There may be little incidents you can’t account for- sometimes your tack suddenly goes missing or your horse’s made up feed bowls ‘accidentally’ get tipped over. It’s all designed to sap your confidence and make you feel stupid and unwanted. * you are not the problem, they are-it’s not acceptable to be bullied at any time or place. * Do not accept uncalled for criticism and start to think they are right- being made to feel scared and frightened is definitely a form of control. * Don’t feel you’re alone or feel ashamed and do talk to someone even if they are not involved with horses, you should not keep your worries to yourself. * Don’t see yourself as an a weak person or incompetent owner/ rider, if you were then you wouldn’t be a threat to the bully who is after all, insecure, jealous, envious of what you have and have little confidence themselves. You cannot change a bully but you can stop them from bullying you. The way to cope with these bullies is to never argue or trade insults, once a bully finds your soft spot they love nothing better than to constantly pick at it. Remind yourself that this whole situation is childish and they are after all supposed to be adults. When advice is constant and unwanted, respond with a sickly sweet smile and say ‘thank you for your help’ and ignore it. This is deadly to a bully who only lives for a response. So if you constantly smile and don’t answer back then you are no longer an easy target as there is no reaction from you. Remember you are not to blame for this situation and never let anyone make you feel you are in the wrong for having an apposing idea or belief.